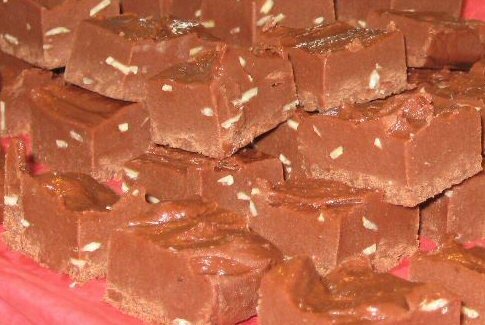 THE BEST HOMEMADE FUDGE AROUND. MADE WITH REAL BUTTER AND PREMIUM CHOCOLATE. ALL ORDERS ARE MADE TO ORDER. A FULL ORDER IS OF THE WEIGHT OF 2 LBS. 1 LBS IS HALF ORDER. UNLESS OTHER WISE STATED PRICES WILL BE FOR HALF ORDERS. YOUR CHOCOLATES ARE MADE WITH IN 24 HOURS OF PAYMENT AND SHIPPED 1 DAY LATER. YOUR FUDGE WILL BE SHIPPED IN A GIFT TIN or Nice Box. This is just amazing stuff, really the final word word in Fudge ! Period.